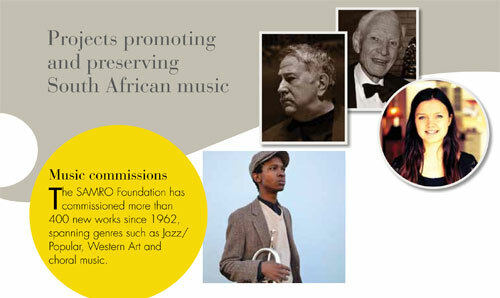 SAMRO remains one of the few organisations in South Africa that support composers by commissioning them to write new works. This ensures a steady supply of fresh, original local compositions that benefit the industry and country as a whole. 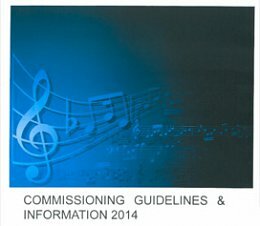 In the past, SAMRO Foundation has received requests for commissions from conductors, artists, universities or organisers of music competitions, concerts and festivals. On occasion, SAMRO Foundation has also commissioned artists to create paintings for various projects.